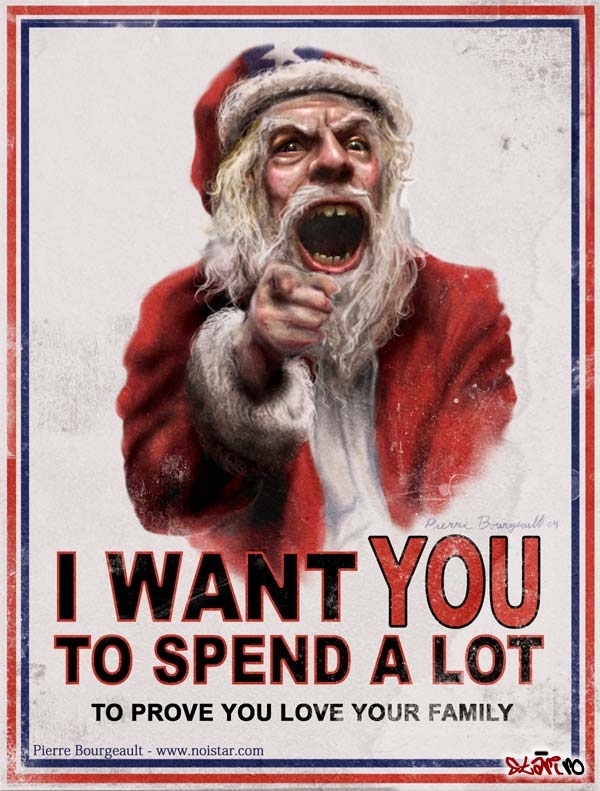 One of the most popular of Christmas traditions is critiquing its commercialism. Yet I worry that many of us in our hipster self-righteousness throw the baby out with the bath water, so to speak. I read an article suggesting that the problem with advertising is not the human desires it appeals to, but the distortions thereof. And I worry that some of us forget this in our more cynical than thou approaches to Christmas. Christmas in both its high and more vulgar forms appeals to certain basic human needs and desires, but I worry that many of us, in rejecting sentimentalism, also reject sentiment itself — we conceive of ourselves as too good for that. Such pride is far worse than sentimentalism, and we must bear in mind that not all critiques of Christmas commercialization are good critiques — it is after all Scrooge and not Cratchit who calls Christmas a poor excuse for picking a man’s pocket every 25th of December.